"A Rose for Emily" is a favorite American short story by William Faulkner. The narrator of this story represents several generations of men and women from the town. The story begins at the huge funeral for Miss Emily Grierson. Nobody has been to her house in 10 years, except for her servant. The town had a special relationship with Miss Emily ever since it decided to stop billing her for taxes in 1894. But, the "newer generation" wasn't happy with this arrangement, and so they paid a visit to Miss Emily and tried to get her to pay the debt. She refused to acknowledge that the old arrangement might not work anymore, and flatly refused to pay. Thirty years before, the tax collecting townspeople had a strange encounter with Miss Emily about a bad smell at her place. This was about two years after her father died, and a short time after her lover disappeared from her life. Anyhow, the stink got stronger and complaints were made, but the authorities didn't want to confront Emily about the problem. So, they sprinkled lime around the house and the smell was eventually gone. Everybody felt sorry for Emily when her father died. He left her with the house, but no money. When he died, Emily refused to admit it for three whole days. The town didn't think she was "crazy then," but assumed that she just didn't want to let go of her dad. Next, the story doubles back and tells us that not too long after her father died Emily begins dating Homer Barron, who is in town on a sidewalk-building project. The town heavily disapproves of the affair and brings Emily's cousins to town to stop the relationship. One day, Emily is seen buying arsenic at the drugstore, and the town thinks that Homer is giving her the shaft, and that she plans to kill herself. When she buys a bunch of men's items, they think that she and Homer are going to get married. Homer leaves town, then the cousins leave town, and then Homer comes back. He is last seen entering Miss Emily's house. Emily herself rarely leaves the home after that, except for a period of half a dozen years when she gives painting lessons. Her hair turns gray, she gains weight, and she eventually dies in a downstairs bedroom. The story cycles back to where it began, at her funeral. Tobe, miss Emily's servant, lets in the town women and then leaves by the backdoor forever. After the funeral, and after Emily is buried, the townspeople go upstairs to break into the room that they know has been closed for 40 years. Inside, they find the corpse of Homer Barron, rotting in the bed. On the dust of the pillow next to Homer they find an indentation of a head, and there, in the indentation, a long, gray hair. Here are a few questions for study and discussion. What is important about the title of the short story, "A Rose for Emily"? What are the multiple meanings for the "rose"? What are the conflicts in "A Rose for Emily"? What types of conflict (physical, moral, intellectual, or emotional) do you see in this story? 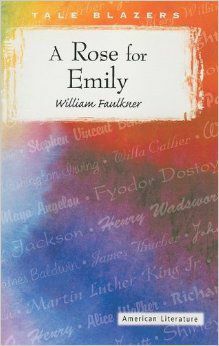 How does William Faulkner reveal character in "A Rose for Emily"? What are some symbols in "A Rose for Emily"? How do they relate to the plot and characters? 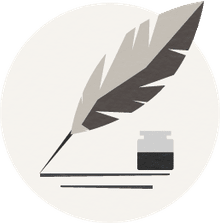 What is significant about the gray hair at the end of the short story? What is the role of women in the text? What about single/independent women? What about the role of wife and mother?